Here we are being teachers and explaining to each other how to read and create pie charts. We used our knowledge of fractions and percentages to compare data in the pie charts. Fox and Owl Class had a wonderful time on our trip today, visiting the Museum of Natural History and the Pitt Rivers Museum in Oxford. In the morning, we marvelled at rocks, fossils and an enormous variety of stuffed animals. There was even an inflatable virus hanging from the ceiling! It was amazing to see the beautiful shapes and patterns that occur in nature. We had recently learnt a bit about adaptation and how animals evolve, and all the fascinating displays and exhibits at the museum illustrated these concepts beautifully. We loved it! What a wonderful time we had at the Waterside Theatre yesterday. We have been studying the book Private Peaceful by Michael Morpurgo and went to see a stage performance of the book. Before we went we predicted what the performance might be like and we got it so wrong because it wasn't what we were expecting at all! The main character 'Tommo' was the only character in the whole performance as he looked back in time to key events in his journey to signing up as a soldier and fighting in WW1. The sound and lighting was incredible as it took us through his journey. Now that we have read the book and seen the stage performance we will be watching the film to compare all three adaptations. We were lucky enough to have tag rugby training this week. Our coach, who is now at Chinnor Rugby club, used to play for Dijon and he even threw in a few French words and phrases! 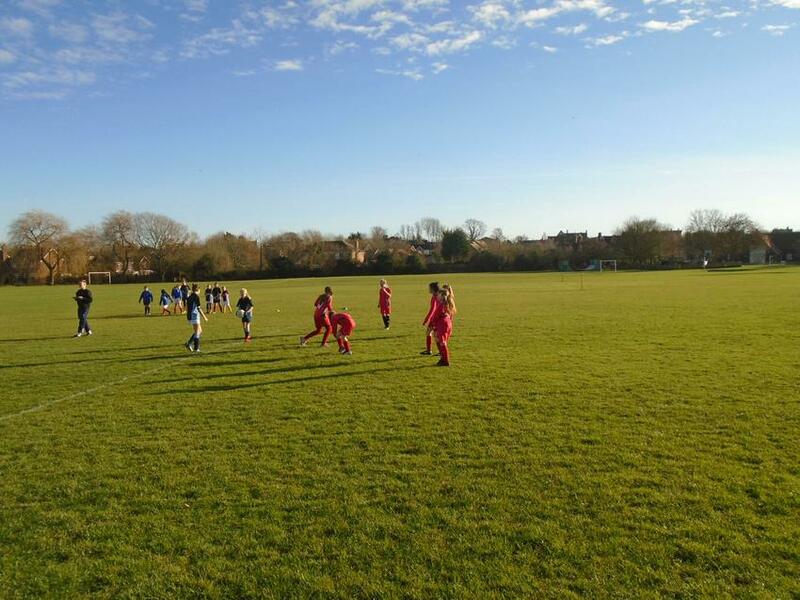 We practised passing, running with the ball and defending, before going into a match. Many tries were scored and we all had a fantastic afternoon! New addition to the classroom...a list of words to help improve writing... 'flayed' was a new one on me...and not a nice thought but found it in our next Phillip Pullman book 'Clockwork '. Revising the writing process this week by refining and editing our newspaper articles during 'Big Write'. We are enjoying our class reader 'Private Peaceful' by Michael Morpurgo and have been discussing how we think some of the scenes will be shown on the stage when we go to see a live performance at the Waterside theatre. Our newspaper articles showed our understanding of the themes of the text and the relationship between the characters. We also added a little bit of 'fake news' just for effect! We have been working with decimals in Maths this week. Our challenge was to order decimals from smallest to largest and to choose different methods to subtract decimals with different decimal places. We have been writing newspaper reports this week. We read lots of newspapers and identified some good headlines. We have used our knowledge of our class reader 'Private Peaceful' by Michael Morpurgo to write interesting newspaper reports about the characters in the story. Launching our Africa topic! We have been using tie dye techniques to create African fabrics. Information from the DfE regarding SATs. 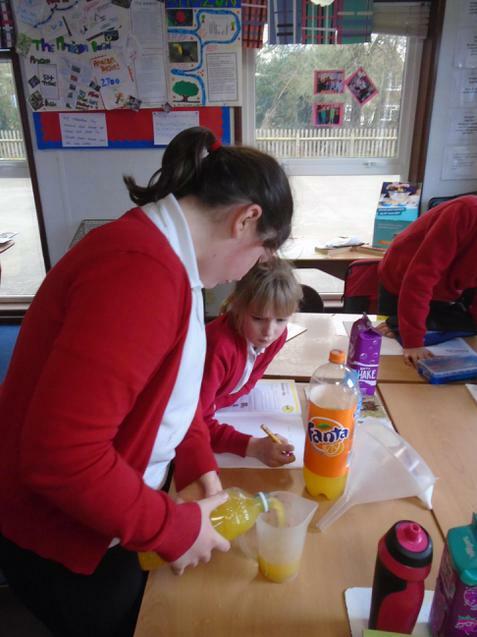 We have been carrying out our own investigations and experiments this week as part of our Big Science event. In groups we were able to design a test based on the theme of 'Travel'. Our questions were: 'Which pan allows the heat to travel to pop the popcorn the quickest?' 'Does the weight on a pendulum affect how it travels?' 'What makes a good rollerskate for travel?'. Year 6 attended Oxford fire station this week for our annual visit to Junior citizens. The children found themselves in real life scenarios where they made mature and sensible decisions about how best to keep themselves safe. They now know how to be safe near a railway line, what to do if they find themselves needing to dial 999, how to stay safe online, what to do in the event of a fire or if they were met with potential drowning. The children practised the recovery position and looked at potential dangers around the home. Plotting vertices of polygons on 4 quadrant coordinate grids. We are playing in pairs to guess missing coordinates. We have been practising sequences with balances in gymnastics this week. Working hard to round decimals to whole, tenths and hundredths. Today we had a visit from children's author Sean Callery who inspired us to be great writers. He showed us how to plan effective non-fiction books and choose vocabulary and facts carefully to engage the reader. He worked with us to write factual descriptions about Outer Space. We all had a fabulous time at Aylesbury Waterside Theatre this afternoon watching a performance of the Railway Children. Now we can compare book, film and theatre production! We might even use some of the theatrical techniques in our own performances. Year 6 have been explaining how the heart works in Big Write this week. Year 6 have been presenting their research about the human heart during our science lessons this week. 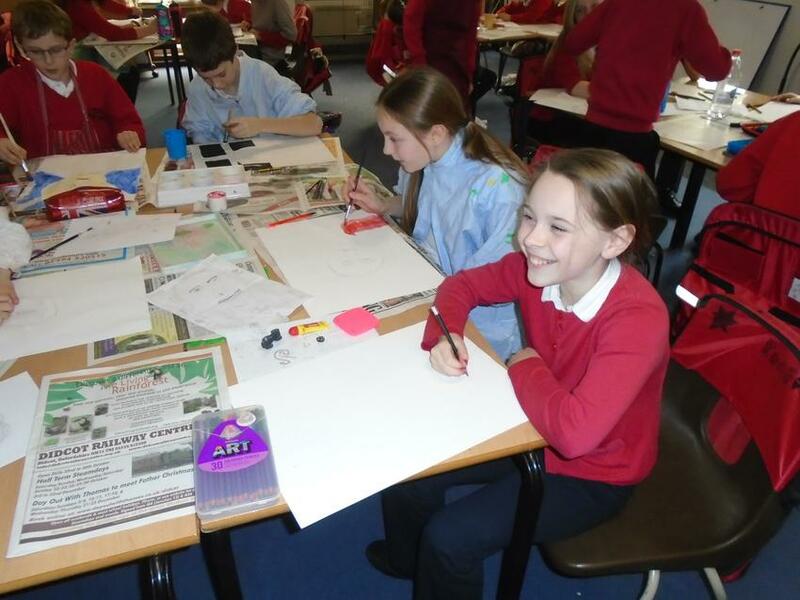 Year 6 have entered a competition to design a habitation module for space exploration on Mars. Human exploration of Mars will be no easy feat. Scientists and engineers at Lockheed Martin are helping to lead the way with Mars Base Camp, the spacecraft that will carry the first human crew to Mars. A roundtrip to Mars will take years. In addition to basic necessities like food, water, oxygen and power, astronauts will need a Habitat in which they can live comfortably and safely. Lockheed Martin and NASA are developing design concepts for habitats and our Year 6 children are joining this effort too. We are very excited to be part of this project. Keep looking here for photos and updates. Habitation Module for Mars Click on the link to show more information about what the children will need to include in their design. Here we are starting to design our Habitation Modules. We have been learning all about how the heart functions. We used clay to make models of a human heart showing the 4 chambers, veins, arteries and capillaries. We have been studying the work of Philip Pullman this week. Did you know that Philip Pullman wrote the 'Dark Materials' trilogy? We have been reading the Northern Lights and creating a character profile of Lyra, the main character. Owl class have been studying Keith Haring's art. We have been discovering how he shows the human body in motion. We took advantage of the sun one morning to get outside and draw around our shadows to help us sketch realistic poses. We took photographs of ourselves in motion and found out how hard it is to capture everyone jumping at the same time.We will use these pictures to study how our bodies look when they are moving and to help us create pieces of art. As part of our investigative work in Science, we have been learning about light: how it travels, how we see and how mirrors work. We made human models using string as our rays of light. Owl Class have been reading Just William stories as part of their Literacy work this week. Here we are performing in the school playground to Squirrel Class. We read one of the 'Just William' stories ('William joins the Band of Hope') and rewrote it as a play script. We have been rehearsing different scenes, and put it all together for a final performance in the sunshine. In science, we found out how much sugar we should be eating every day - less than we realised! We then measured portions of breakfast cereals and drinks and calculated how much sugar was in them. This tiny portion of cereal has the equivalent of two cubes of sugar in it. Afterwards we measured out how much breakfast cereal we might actually eat and calculated the sugar content of that, which was sometimes more than the recommended daily amount for children of our age! 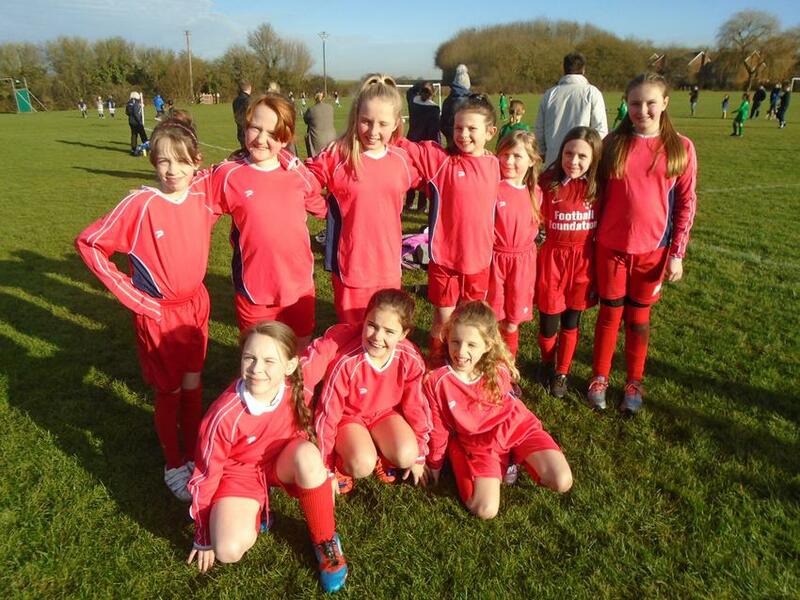 Some of the girls in Owl class played in a football tournament against local schools. This was their first game as a team. They played brilliantly together and really enjoyed the afternoon.